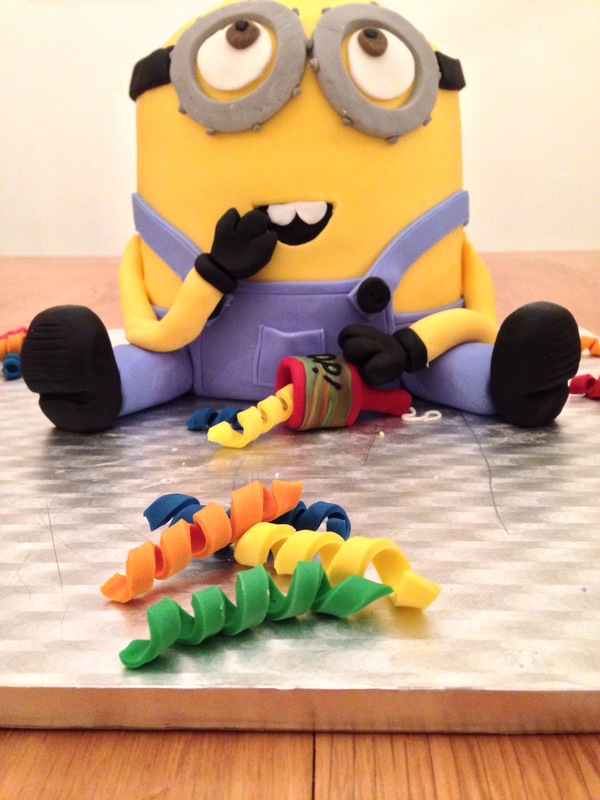 Last weekend I got to make another minion cake. I loved the first one I made for Tom’s birthday and really wanted to make another one, so I was pretty excited when he asked if I could make one for somebody he works with. 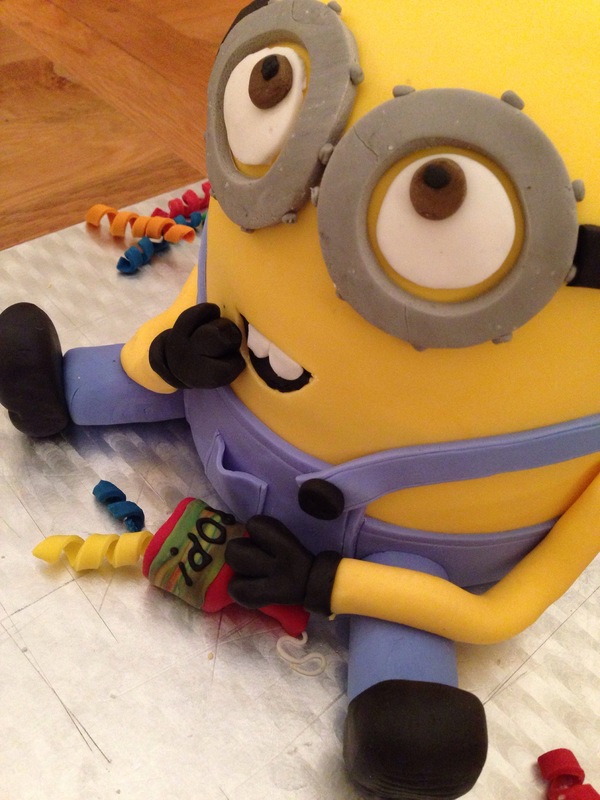 Since minion number 1 had one eye, I decided minion number 2 should have two eyes. Other than that, he was decorated in the same way! 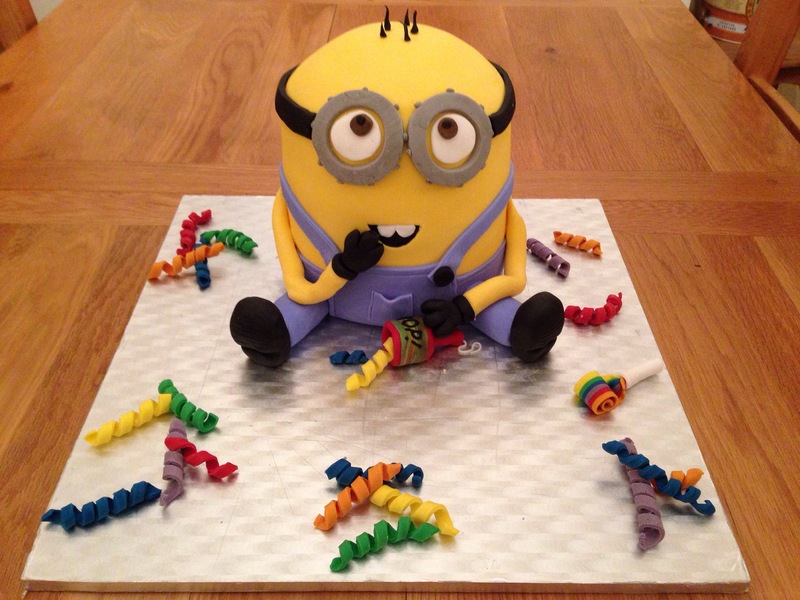 This one was made out of Victoria sponge rather than chocolate and it was harder to shape/ice – the chocolate cake I used for the first minion was a fairly solid cake which make it easy to round the top off. I coloured some icing with some bright colours, rolled it out and cut it into strips to create some party popper spirals. I then wrapped this around some chopsticks (dipped in icing sugar to prevent sticking) to create spirals. The key is to only leave them on the chopsticks for a few minutes – if you take them off when they’re still soft then they’re less likely to break. Despite not being hard, they hold their shape really well so after removing them from the chopsticks, leave them to one side to dry out and harden completely. 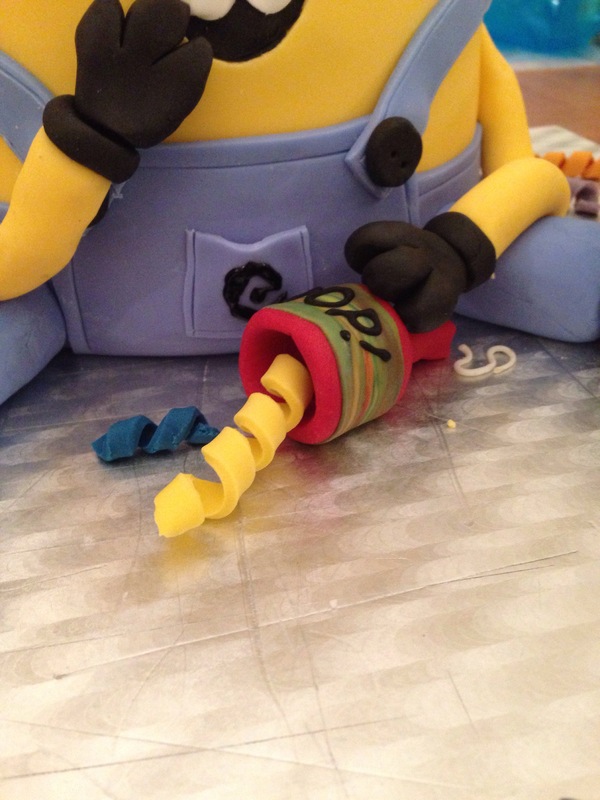 I then used some of the left over red icing to make a party popper for the minion to hold so that it looked like he’d pulled it! Just before he was picked up I realised that I’d forgotten to do the “G” on his pocket’ Luckily I spotted it just in time and managed to pipe one on, phew.